Richard began his venture into photography at the age of sixteen by working as an apprentice in a black and white darkroom in 1977. He acquired his knowledge by working rigorously with a range of different tools and techniques, eventually developing a preference for HK enlargers and the fibre-based paper Seagull. In 1979 Richard decided to venture into colour printing by offering a diverse range of printing options, which included C-Type handprints up to 6ft by 4ft and also Duratrans for clients in the advertising industry. 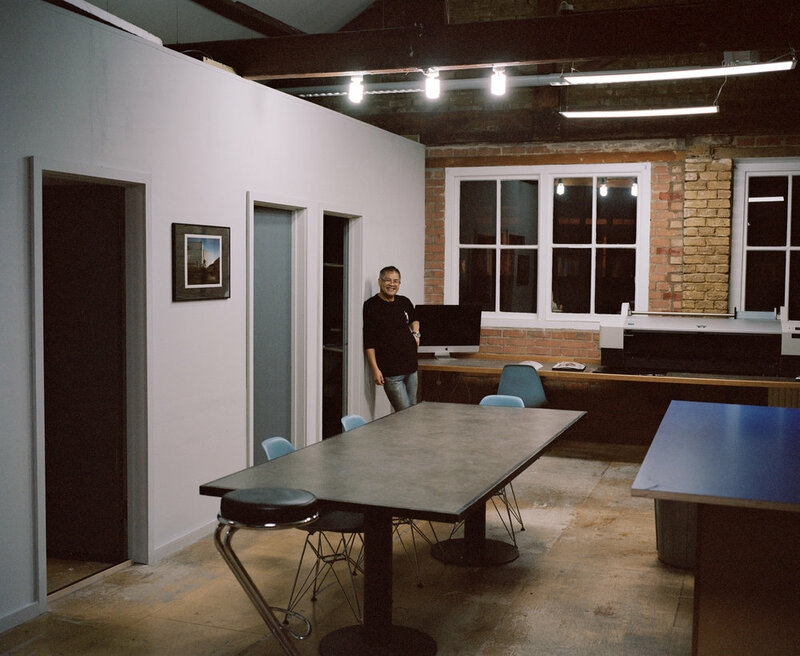 By 1998 Richard decided to further hone his practice and business expertise by forming his own company called Plus One, where he offered high-resolution scanning and digital C-Type printing, alongside traditional C-type printing and C41 processing. Richard maintained the services of Plus One until 2010, at which point he decided to make the move into archival inkjet printing after creating test prints using an Epson 9880 inkjet printer. Richard has always believed in and practised a personalized one-on-one approach with whomever he is working with, preferring to nurture long term relationships through this approach to achieve the best results possible.